If you were here right now, you might say: "I wonder why CakeSpy is singing 'Circle of Life' from The Lion King in her outdoor voice right now?". Well. I am singing that song because sometimes, life comes full circle in beautiful and delicious ways. Let me tell you about one such instance. 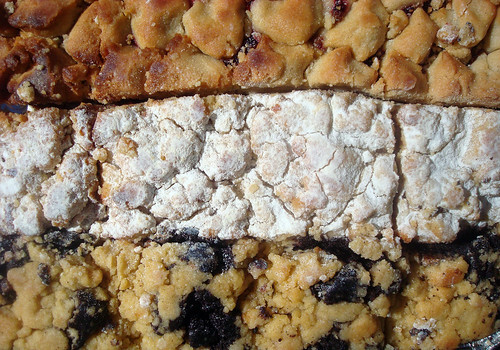 Way back in 2007, when I lived in Seattle and CakeSpy.com was a baby, I came across (and wrote a feature about) Hahn's Crumb Cake. Being a misplaced east coaster in the wild west, I was delighted to come across a company that shipped what is probably my single favorite childhood (and adult, let's be honest) treat. 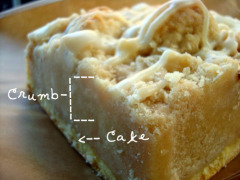 Note: if you are confused about what crumb cake is and is not, please check out this post. Then, several years passed where a lot happened, but none of it involved Hahn's. And then, suddenly, a few weeks ago, they e-mailed me and asked if they could send me some samples of their cake. I typed my address with haste, lest they change their mind. A few weeks after that, a glorious package arrived with a pleasing heft to it. 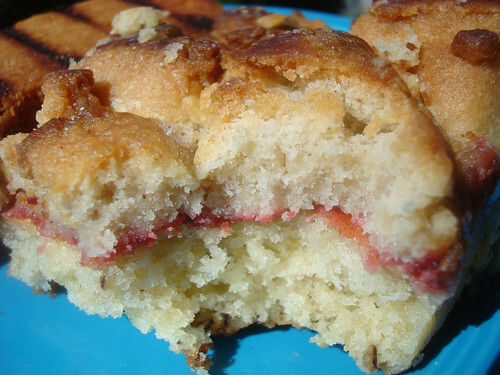 Inside, it was crammed with crumb. Cake, that is. Oh-emm-gee. Now, I am going to try to be careful with how I say this, because I don't want you to get the wrong idea. This crumb cake is perfect. But it's not because it's fancy. It's perfect because it's an ideal specimen of a truly quotidien (at least in the NY metro area) foodstuff. Hahn's makes a higher quality version than you'll buy at most delis, but it still has that simple, unfussy quality about it that makes crumb cake so great. 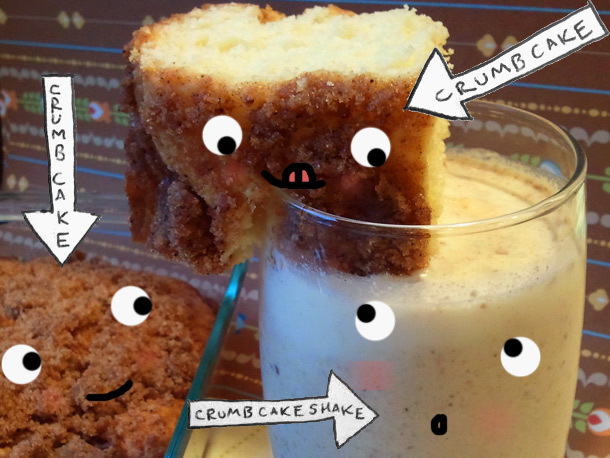 Crumb cake does not aspire to be a gourmet food: its goal is to feed you and make you happy. Lots of butter and brown sugar help ensure that it is able to do its job. The art of the cake is in the crumb: you don't want them too streusel-y. While in my opinion the crumbs simply can't be too big, they can be too hard. 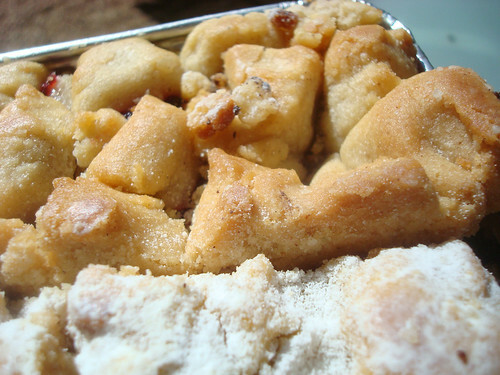 You want a crumb that is firm, but that will yield when you bite into it, exuding a buttery-brown-sugar-slightly salty flavor in your mouth. 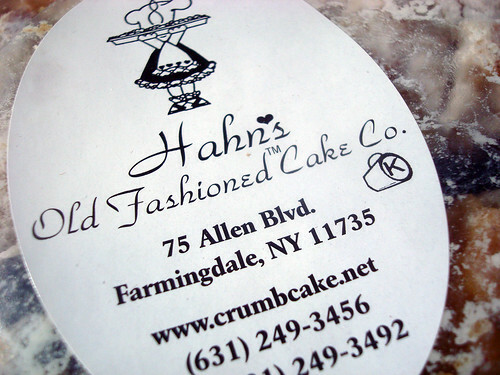 If you love a classic NY-style crumb cake or have fond memories or thoughts regarding the Entenmann's crumb cake from supermarkets, you will probably love Hahn's crumb cake as much as me. The package I got included a classic, chocolate, and raspberry variety. All were good; I say it just depends on your mood. I tend to veer toward the former, because it has confectioners' sugar. Maybe I like looking like I have a cocaine problem after I eat a slice of crumb cake? So--my review is, buy crumb cake from Hahn's if you want a taste of nostalgia, or if you've never tried a classic crumb cake but would like to do so.